Today, video content rules the Internet. It is extremely versatile and engaging. Besides, it’s also the best way of storytelling, which has proven to be a very effective marketing strategy. Statistics show that video content consumption rates will continue rising, as videos have proven to be the most effective way to engage a customer. Forbes reports with the reference to SmallBizTrends that by 2019, global consumer Internet video traffic will reach 80% of the general consumer Internet traffic. Moreover, the same source claims that only Facebook generates 8 billion video views a day and YouTube video consumption increases by 100% each year. With such a dynamic rise, many companies started to invest in video marketing. With each month, there are more and more new YouTube influencers trying to reach huge audiences and monetize their videos. However, the laws of video content are strict and if you don’t follow them, you risk not being noticed at all. Viewers prefer valuable content. 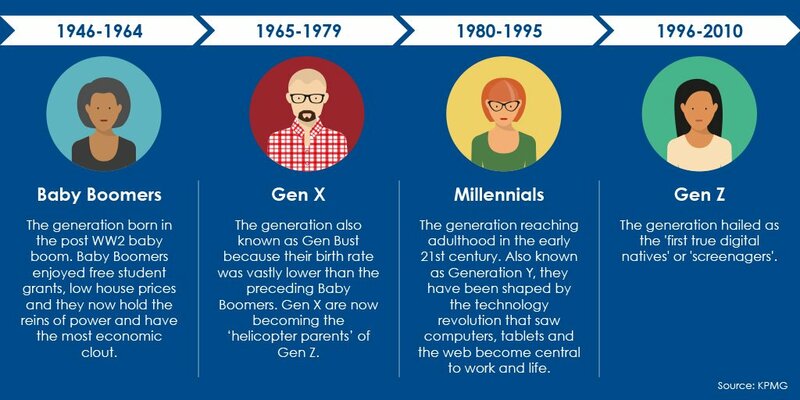 According to the survey by Clear Voice, 60% of millennials report watching videos to keep up with the news and 47% claim they regularly watch videos to learn something. So it’s not just about having fun and creating a random video, you cannot expect great feedback by just relying on these factors. Creating a video requires following certain rules, which we’re going to discuss in this article. Here are 7 laws for perfect video content you must follow by all means. It doesn’t matter if you’re creating a marketing video or trying to build your own YouTube empire, these laws are universal and work for everyone the same. Of course, you can try and create videos that will target everyone. However, it’s not the best idea. Your videos will get the necessary attention but will be forgotten soon after you’ve posted them. Even if you decide to create cooking tutorials, you’ll still have a major focus group and the rest of your audience who will watch your videos for their own purposes. Identifying your target audience is crucial. Without having someone to target, your videos will look sloppy and not put together. Having a target audience will help you create a focus for your videos, which, of course, needs to be addressed in every video you create. These are basic questions that will help you understand your target viewer. They will also help you determine a suitable time to post videos. 3) Study your social media channels. There, you can ask your existing audience what they prefer to watch. Based on this information you can put together a consistent analysis, which will help you identify the type of video content you will create. Speaking about the type of video content, it should reflect the level of your expertise. Yes, you understood it right: filming videos on the topic you know nothing about is absolutely out of the discussion. A vlog – this is a type of video blog where you basically film a random event. According to Social Chain, vlogs gain popularity because of a specific trait in human characters that crave a little peak in someone else’s life. If you’re ready to share your life with millions of strangers, then this format is for you. A tutorial – another popular format of video content. You’ve probably heard about makeup tutorials that help makeup gurus earn a lot of money. This format is always in demand. 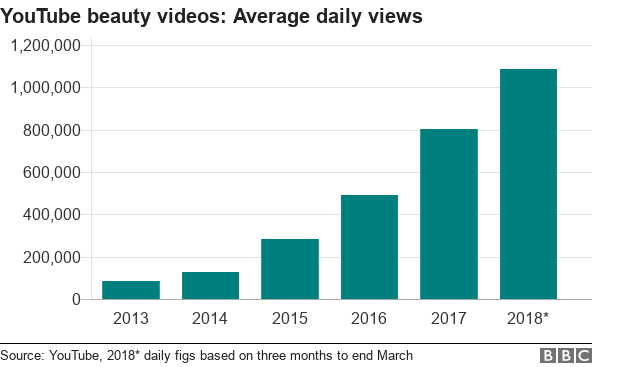 According to BBC, in 2018 people throughout the world have watched on average 1 million beauty tutorials each day. A podcast – a great way to show your expertise on a certain subject. Don’t underestimate podcasts: according to Entrepreneur, one in four Americans listen to podcasts every day while on their commute or cooking dinner for the family. It’s a great format to invest your time and creativity into. Don’t know how to choose the format that suits your creative needs? Martha Jefferson from AussieWritings recommends starting from choosing a category. YouTube, for example, has over 15 video categories, including Family Entertainment, Comedy, Education and Beauty & Fashion. From that, it will be easier for you to understand, which format of the video content will fit your category best. Instagram – 30 seconds. According to the report, videos with an average length of 26 seconds got the most comments. Twitter – 45 seconds. Reportedly, Twitter’s videos of the day regularly averaged 43 seconds. Facebook – 1 minute. Apparently, Facebook users love watching snappy, quick videos, while scrolling down the news feed. YouTube – 2 minutes. This is an average length for YouTube videos that don’t bring substantial value (like videos with cats and dogs that are so popular on this platform). Nevertheless, YouTube is still a great platform for long videos as long as they bring a certain value. Choosing a perfect length for your video also depends on the format of video content. For sure, the perfect combination of these two factors will have college students procrastinate and skip on writing their college papers, as they will want to binge-watch all your videos. As you can see from the HubSpot’s report mentioned above, each platform has its own requirements when it comes to the perfect length of videos. However, this goes for the specific formats of video content too. Facebook users go for the videos that are short and informative or have an element of fun to them. These videos should also work without sound, but the message should still be clear. Instagram allows more creative formats like visually-pleasing teasers, behind-the-scenes and loop videos. Twitter is also perfect for teasers and short informative videos, but you can also attach full-length video content. YouTube is the only platform that is perfect for any format of video content. Of course, you can choose multiple platforms to post your videos. However, specialists warn that one and the same video will not always deliver the same result on two different platforms. “If you decided to post your videos on Instagram and YouTube, tailor them according to the requirements of each platform”, says Harry Durant, a researcher at ProEssayWriting. You can post full-length videos on YouTube and short clips from them on Instagram to tease your followers. Despite your desire to be creative and spontaneous, it’s not the best idea, if you’re serious about creating video content. That’s why you need a script which will serve as a blueprint for your video production process. The hook – something that will grab a viewer’s attention from the first second. The patty – the story that serves as the foundation for your video. Call to action – your final words inviting a viewer to subscribe to your channel or follow you on social media. However, you need to be careful with the last element. “CTAs have gotten so cliché and boring that people just mentally block them”, says Clara Richardson, the head of marketing at A-writer. “Instead of using clichés, invite your viewers to put your recommendations to the test and let you know in the comments about their experience.” Indeed, be more creative with your CTA, and you’ll see the difference right away. The story engages a viewer from the very beginning of a video. That’s why it has become one of the most powerful strategies in marketing. According to Medium, large amounts of information get more digestible in a narrative. Get a behind-the-scenes speaker to narrate your story. Don’t write it like in a PowerPoint presentation. Put it into your viewers’ ears, not just their eyes. Start from catching your viewer’s attention. Go straight to the subject and keep up with it till the end while emphasizing the idea behind it. Appeal to a certain emotion from the very beginning. Make your viewers feel a certain way and intensify the emotion as the video goes on. Good storytelling always wins attention. When I was a student, I came across P&G’s “Thank you, mom” campaign that had me watch all the videos they created during the previous years. The videos were so touching that I spent the whole night watching them and didn’t even do my homework and write my essays on time. A good story always awakes the right emotions and makes a viewer watch from the beginning till the very end. And lastly, consistency is one of the crucial factors for keeping your audience engaged. The consistency of a video itself depends on how well you create a script for it. It’s absolutely important to make sure that events in your video follow each other consistently. However, consistency also means planning your video content and posting it on a regular basis. Rebecca Stephenson, a customer support representative from BestEssayTips, says that viewers often positively respond to the content if it’s posted regularly and on time. How often should you post your video content? Robin Kamen from Newscred Insights says that it depends on how long you work with content. If you’re a beginner, it’s enough to post two videos a week, and as you develop your video production skills, you can post more often. However, it also depends on the length of your content. But no matter how much content you want to post, you need to keep it coming according to the schedule. Perfect video content is all about effort and your desire to improve. Keep following these 7 laws of perfect video content and you’ll definitely catch the attention of online audiences. Author bio: Tom Jager is a professional blogger based in London. He covers topics related to digital marketing, blogging, social media and business in general. He is always seeking to discover new ways for professional and personal growth.